Welcome to the online home of Kite Magic. 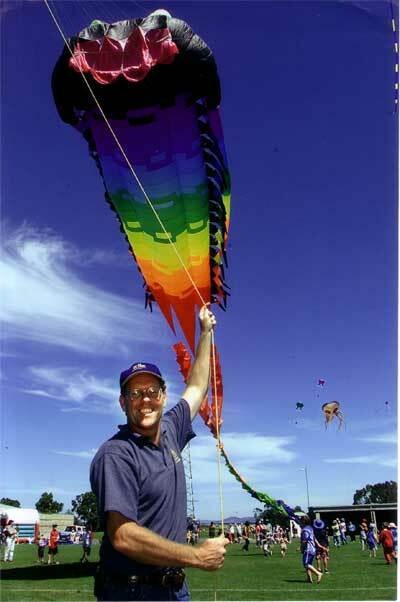 Our business aims to provide good quality school resources and the largest range of kite making components in Australia plus lots more. Our greatest love is working with schools where we offer teachers and students materials and the know how to create fun and interesting projects. These include kites, solar kits and solar cars plus soon to be added other new interesting ideas we are working on. Also helping students and teachers to juggle can be a laugh but also lots of fun. Our shop does not have regular retail hours. If we are running workshops or out picking up new ideas the shop will most likely be closed so please phone before you come out to visit us. We are also happy to meet you before or after hours as well. We hope you enjoy our web site. Your feedback will help support us to make an even better site for you. September 2014 We got it after 9 years - 16,038ft Check it out - click here.